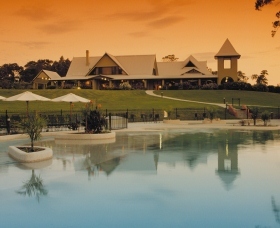 Mercure Lake Macquarie Rafferty's Resort has been designed as the complete holiday destination. Set on 35 acres of bush land, in a quiet bay on the shores of the Lake Macquarie, a spectacular waterway, four times the size of Sydney Harbour. 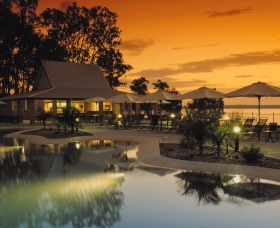 The resort offers deluxe accommodation, fine food and wine as well as a vast array of recreational facilities and events. 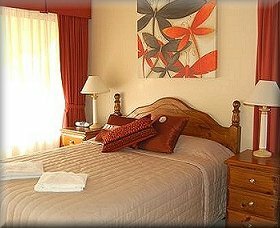 The Resort Manor is a superb four bedroom home and is the ultimate family resort accommodation for those who want the best. With large open plan living areas, it is ideal for the larger or extended family. 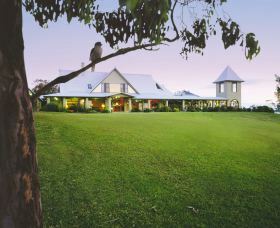 Just 90 minutes drive north of Sydney, Raffertys is designed as a complete holiday destination. 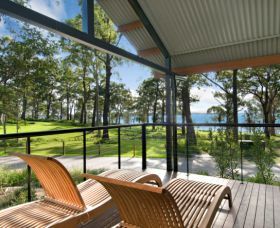 Raffertys is set on 35 acres of Australian bushland, in a quiet bay on the shores of Lake Macquarie, four times the size of Sydney Harbour. 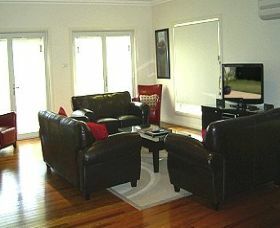 The Boutique Escape 416 is fully air-conditioned and is centrally located within Raffertys. 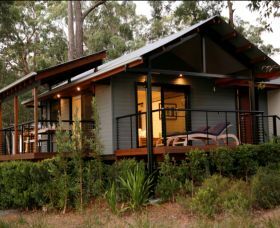 It features two bedrooms, each with their own en suite bathroom and it can sleep up to five guests (one single bed downstairs). 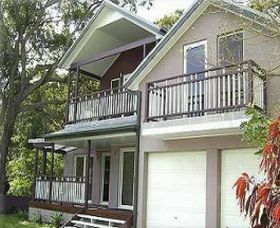 This terrace-style accommodation is ideal for one or two couples or a small family. There is also room beside the terrace for a boat. 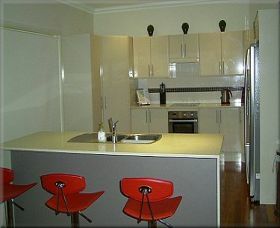 Fully renovated, repainted and carpeted, this accommodation is sure to please. 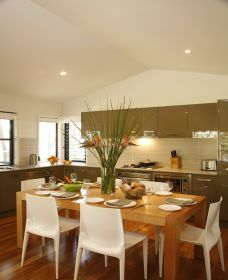 Bluebell Retreat House designed by Gabriel Poole, is a spectacular holiday house right on the shores of Lake Macquarie.